A highly polished, mirror finish solid brass surface, with a high performance electrophoretic lacquer protection. Electrophoretic lacquer offers superior adhesion, durability and corrosion resistance over conventional lacquers. Not recommended for use in high traffic areas or external locations as the lacquer will break down prematurely resulting in a patchy appearance. A light application of a good quality wax will assist in maintaining the finish in good condition. Do not use solvents, cleaning chemicals or abrasive products with this finish. A highly polished, mirror finish solid brass surface, treated with a thin beeswax coating for protection during transit and installation. This is an unlacquered living finish, intended to oxidize and patina naturally over time. It can be cleaned with metal polish, if preferred, to maintain the original bright finish. To remove the effects of natural ageing (oxidisation) clean with a metal polish, an occasional light application of a good quality wax will reduce the need for subsequent cleaning. A sateen polished solid brass surface with a high performance electrophoretic lacquer protection. Electrophoretic lacquer offers superior adhesion, durability and corrosion resistance over conventional lacquers. Not recommended for use in high traffic areas or external locations as the lacquer will break down prematurely resulting in a patchy appearance. 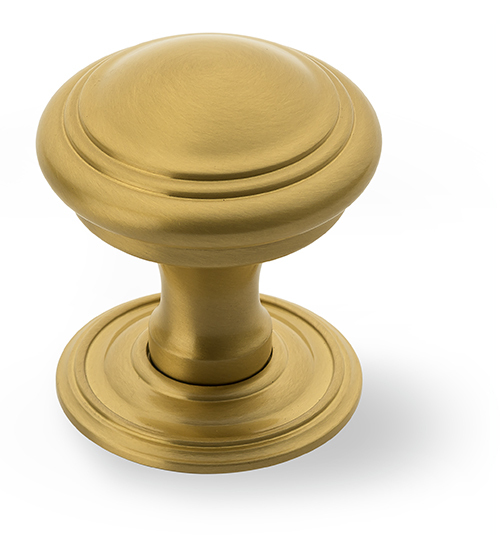 A sateen polished solid brass surface, treated with a thin beeswax coating for protection during transit and installation. This is an unlacquered living finish, intended to oxidize and patina naturally over time. It can be cleaned with metal polish, if preferred, to maintain the original satin finish. A sateen polished solid brass surface given a hand applied medium antique patina, producing a soft, slightly reflective, sheen. Supplied with a thin beeswax coating for protection during transit and installation. This is an unlacquered living finish, intended to oxidize and patina naturally over time. If handled regularly this finish will tend to lighten and, if handled infrequently may darken. 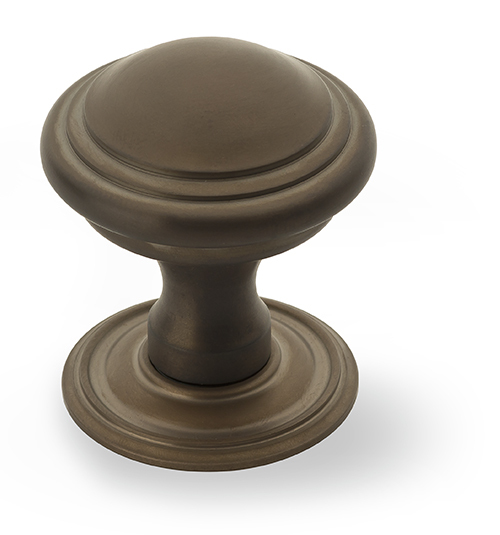 A sateen polished solid brass surface given a dark antique patina producing a soft, slightly reflective, sheen. Supplied with a thin beeswax coating for protection during transit and installation. This is an unlacquered living finish, intended to oxidize and patina naturally over time. If handled regularly this finish will tend to lighten and, if handled infrequently, may darken. 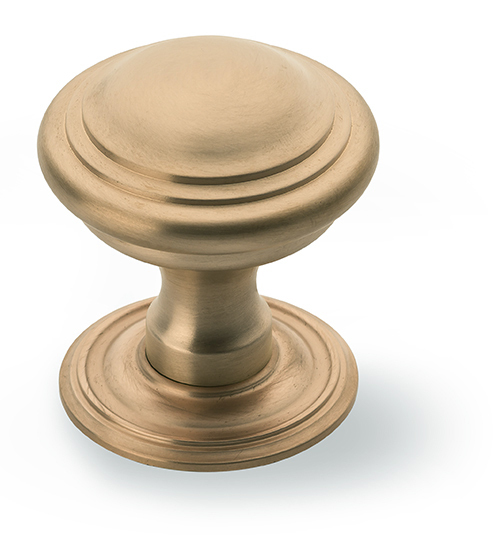 A highly polished solid brass surface, skilfully hand burnished to produce an elegant, lightly aged finish. This is then treated with a thin beeswax coating for protection during transit and installation. This is an unlacquered living finish, intended to oxidize and patina naturally over time. It can be cleaned with metal polish, if preferred, to maintain the bright burnished finish. A polished nickel plated surface, skilfully hand burnished to produce an elegant, lightly aged finish. Unlacquered nickel plated finishes are less durable than chrome plated ones and, as such, should be considered living finishes - which will gradually oxidize over time. It can be cleaned occasionally with metal polish, if preferred, to maintain a bright burnished finish. A bright chromium plate on top of a nickel plated, highly polished mirror finish, solid brass surface. Chromium plating is a very hard wearing, stable finish, suitable for most environments. Occasional cleaning with a metal polish followed by a light application of a good quality wax will assist in maintaining the finish in good condition. A satin chromium plate on top of a nickel plated, sateen polished, solid brass surface. Chromium plating is a very hard wearing, stable finish, suitable for most environments. 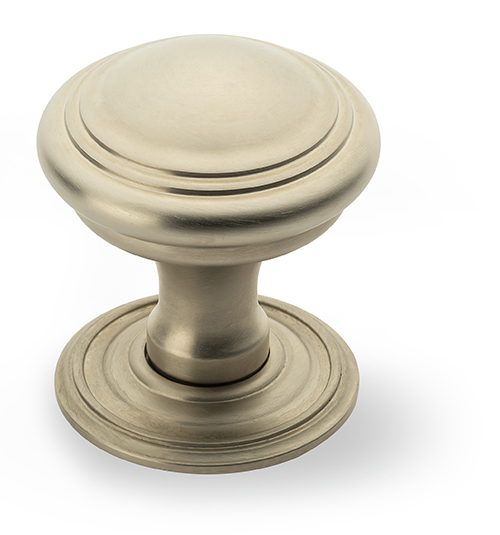 A satin nickel plate on top of a sateen polished solid brass surface. Unlacquered nickel plated finishes are less durable than chrome plated ones and, as such, should be considered living finishes - which will gradually oxidize over time. It can be cleaned occasionally with metal polish to maintain the original satin finish. 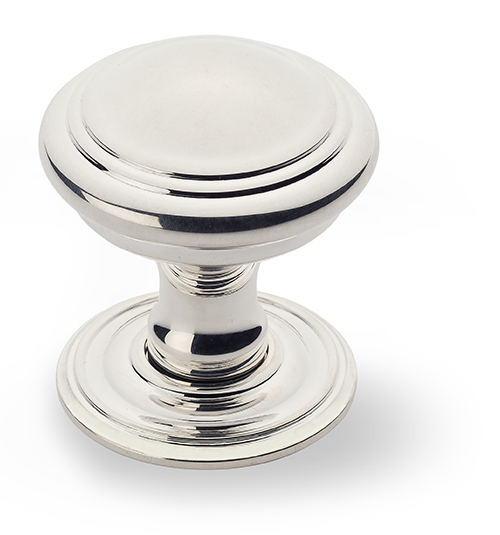 A bright nickel plate on top of a highly polished mirror finish, solid brass surface. Unlacquered nickel plated finishes are less durable than chrome plated ones and, as such, should be considered living finishes - which will gradually oxidize over time. It can be cleaned occasionally with metal polish to maintain the original bright finish. A special nickel plate on top of a highly polished mirror finish, solid brass surface, producing a misty pearl-like effect. 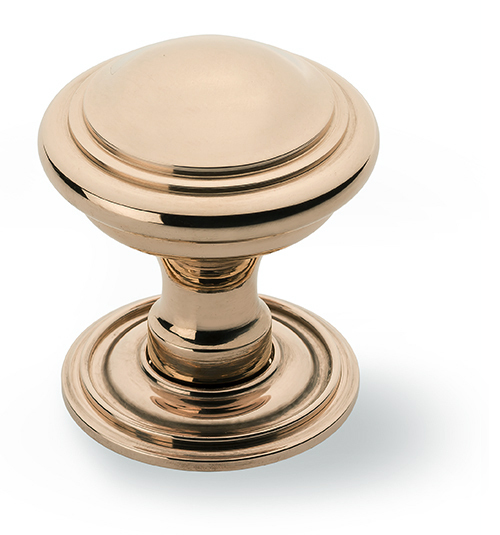 Unlacquered nickel plated finishes are less durable than chrome plated ones and, as such, should be considered living finishes - which will gradually oxidize over time. It can be cleaned occasionally with metal polish, if preferred, to maintain the original finish. A special matt nickel plate on top of a sateen polished solid brass surface, producing a non-reflective smoky effect. Unlacquered nickel plated finishes are less durable than chrome plated ones and, as such, should be considered living finishes - which will gradually oxidize over time. It can be cleaned occasionally with metal polish, if preferred, to maintain the original finish. A special bright nickel plate on top of a highly polished mirror finish, solid brass surface, producing a reflective smoky effect. Unlacquered nickel plated finishes are less durable than chrome plated ones and, as such, should be considered living finishes - which will gradually oxidize over time. It can be cleaned occasionally with metal polish, if preferred, to maintain the original finish. Occasional cleaning with a metal polish followed a light application of a good quality wax assist in maintaining the finish in good condition. 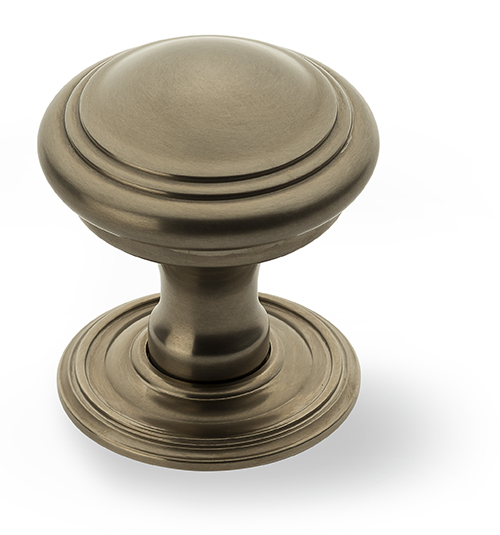 A satin nickel plated surface given a light bronze patina to produce an aged nickel silver appearance. This is an unlacquered living finish, intended to oxidize and patina naturally over time. 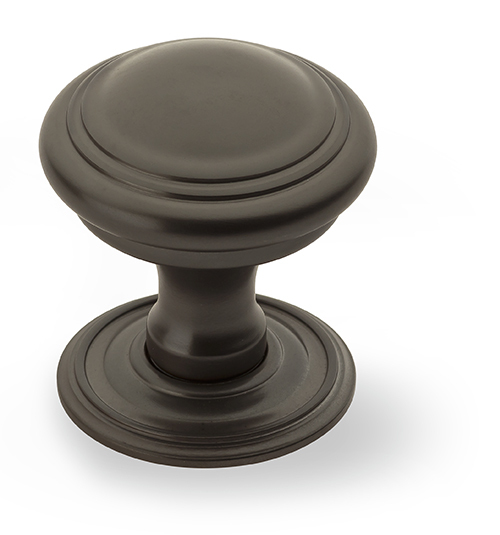 If handled regularly this finish will tend to wear and lighten slightly. 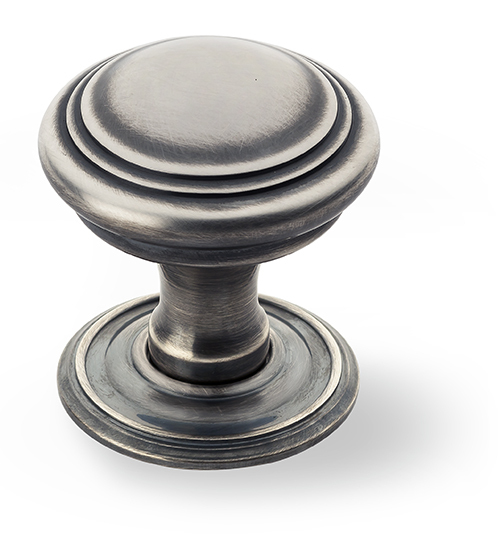 A satin nickel plated surface given an antique patina. This is then treated with a thin beeswax coating for protection during transit and installation. This is an unlacquered living finish, intended to oxidize and patina naturally over time. A satin nickel plated surface with an antique patina and a final distressing to produce a more rustic appearance. 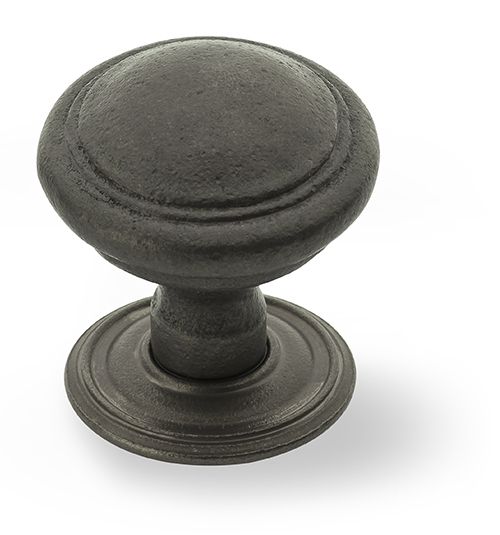 Often known as ‘Antique Pewter’, this finish is then treated with a thin beeswax coating for protection during transit and installation. This is an unlacquered living finish, intended to oxidize and patina naturally over time. 92.5% pure silver plate on top of a highly polished, mirror finish, solid brass surface. This is an unlacquered living finish, intended to gradually oxidize and patina over time. It can be cleaned occasionally with metal polish, if preferred, to maintain the original finish. Pure Silver plate must be cleaned with great care, all abrasive cleaning products and solutions will damage the surface, only use a solution specifically designed to clean silver and follow the instructions carefully. 92.5% pure silver plate on top of a highly polished, mirror finish, solid brass surface. Then lightly oxidized and carefully hand burnished to produce an appearance of ‘well cared for’ vintage silver - as if looked after for centuries by fastidious Butlers. An unlacquered living finish, intended to gradually oxidize and patina over time. It can be cleaned with metal polish, if preferred, to maintain the original finish. 92.5% pure silver plate on top of a highly polished, mirror finish, solid brass surface. This is then oxidized and lightly hand burnished to produce an antique appearance. This is an unlacquered living finish, intended to gradually oxidize and patina over time. It can be cleaned with metal polish, if preferred, to maintain the original finish. Warm and weathered bronze patina applied to a copper plated, sateen polished solid brass surface producing a soft, slightly reflective, sheen. This is then treated with a thin beeswax coating for protection during transit and installation. This is an unlacquered living finish, intended to gradually oxidize and patina over time. Dark, almost black, bronze patina applied to surface producing a soft, slightly reflective, sheen. This is then treated with a thin beeswax coating for protection during transit and installation. An unlacquered living finish, intended to gradually oxidize and patina over time. Dark bronze patina over copper plated, sateen polished solid brass which is then matt lacquer to give a dark matt appearance. Not recommended for use in high traffic areas or external locations as the lacquer will break down prematurely resulting in a patchy appearance. Highly polished, pure copper plating on top of a mirror finish solid brass surface. This is then treated with a thin beeswax coating for protection during transit and installation. This is an unlacquered living finish, intended to gradually oxidize and patina over time. It can be cleaned occasionally with metal polish, if preferred, to maintain the original bright finish. 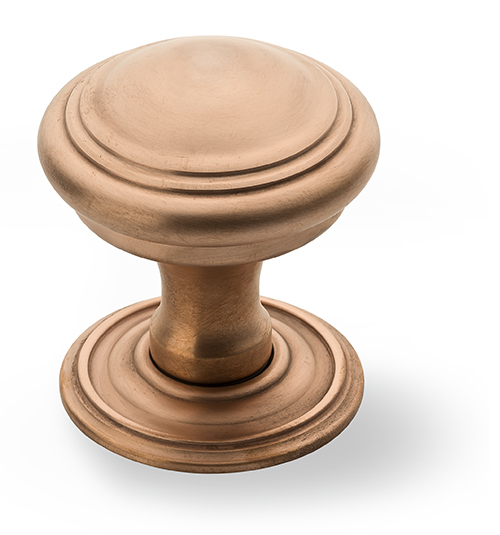 Sateen polished pure copper plating on top of a satin finish solid brass surface. This is then treated with a thin beeswax coating for protection during transit and installation. This is an unlacquered living finish, intended to gradually oxidize and patina over time. It can be cleaned occasionally with metal polish, if preferred, to maintain the original finish. and oxidization, lending character and elegance. Lacquer is applied to aid the preservation of the original finish on some products. These finishes are not recommended for use in high traffic areas or external locations as the lacquer will break down prematurely resulting in a patchy appearance. may vary to the images shown. A highly polished, mirror finish solid bronze surface which has been oxidized to produce a beautiful iridescent patina. Treated with a thin beeswax coating for protection during transit and installation. An unlacquered living finish, intended to oxidize and patina naturally over time. If handled regularly this finish will tend to lighten and, if handled infrequently, may darken. A light application of a good quality wax will finish in good condition. Do not use solvents, cleaning chemicals or abrasive products with this finish. A sateen polished solid bronze surface which has been oxidized to produce a matt antique patina. This is then treated with a thin beeswax coating for protection during transit and installation. An unlacquered living finish, intended to oxidize and patina naturally over time. If handled regularly this finish will tend to lighten and, if handled infrequently, may darken. A highly polished mirror finish, solid bronze surface, treated with a thin beeswax coating for protection during transit and installation. This is an unlacquered living finish, intended to gradually oxidize and patina over time. It can be cleaned occasionally with metal polish, if preferred, to maintain the original bright finish. 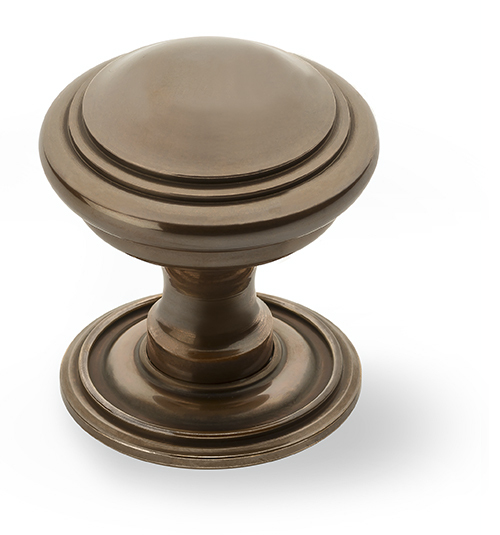 A sateen polished solid bronze, treated with a thin beeswax coating for protection during transit and installation. This is an unlacquered living finish, intended to gradually oxidize and patina over time. It can be cleaned occasionally with metal polish, if preferred, to maintain the original finish. 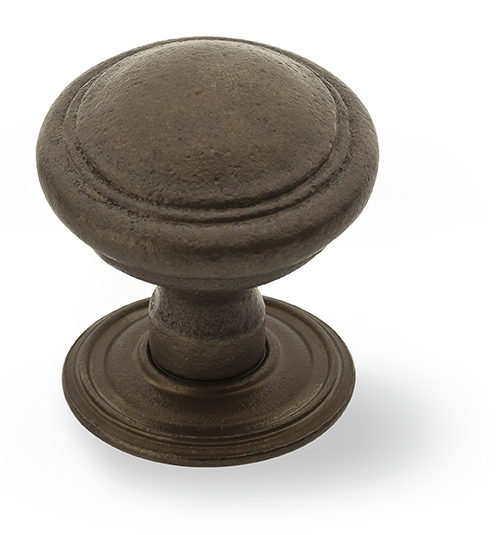 Traditionally produced, unpolished solid bronze surface which has been ‘rustificated’ and oxidised. This is then treated with a thin beeswax coating for protection during transit and installation. This is an unlacquered living finish, intended to oxidize and patina naturally over time. If handled regularly this finish will tend to lighten and, if handled infrequently, may darken. Traditionally produced, unpolished solid bronze surface which has been ‘rustificated’ and dark oxidised. This is then treated with a thin beeswax coating for protection during transit and installation. This is an unlacquered living finish, intended to oxidize and patina naturally over time. If handled regularly this finish will tend to lighten and, if handled infrequently, may darken.